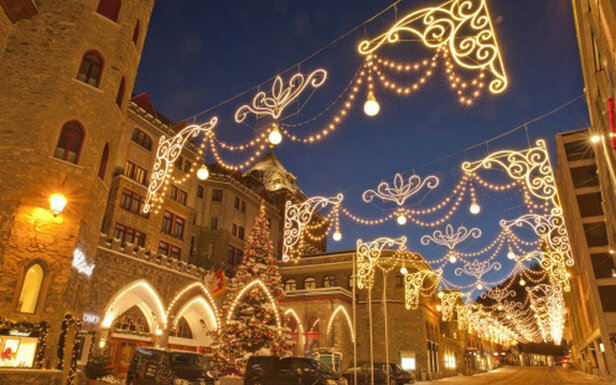 Nestled majestically into the mountainside above the lake of the same name, St. Moritz possesses a character that goes far beyond its posh reputation. 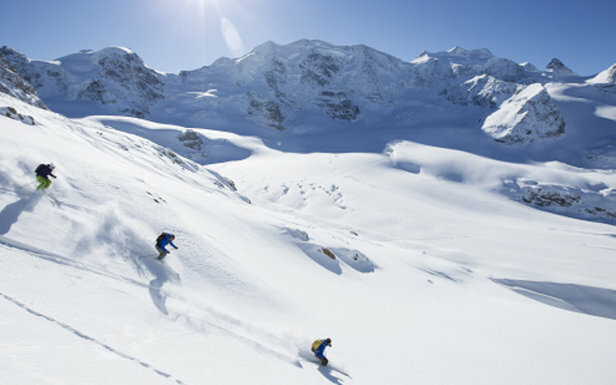 Considered the birthplace of winter tourism, the Swiss Alpen resort is home to yes, a smattering of pricy shops selling diamonds and fur, but also a vibrant community and sprawling ski mountain of vast, open trails. A true Mecca for international visitors, the local population itself embodies an impressive mix of cultures. Although Swiss German is the most frequently spoken language, it’s not unusual to overhear French, Italian or Romansh. 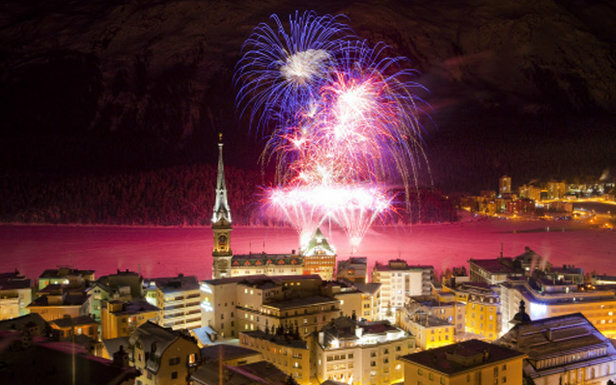 Having hosted two Winter Olympics (in 1928 and 1948), in addition to attracting alpine skiers from all over the world, St. Moritz is also a popular stomping ground for Nordic skiing, bob sledding and even ice polo, played on the lake’s frozen surface. Naturally, if you’ve made the trek (three hours from Zurich) to St. Moritz and have spent years ogling over its mystique, you want to stay at the area’s unmistakable landmark: Badrutt’s Palace Hotel. Dating back to 1896, the Palace’s charm literally sweeps guests off of their feet before they even arrive with a train station pickup in the hotel Bentley. Pair this with the fact that Badrutt’s spa features some of the most progressive oxygen facials and Ayurvedic treatments known to the health industry—and is actually situated in a rock cave; or that the hotel is run on an innovative, environmentally astute heating system using water from the lake; or even its assortment of in-house five-star dining, you cannot help but feel like royalty. 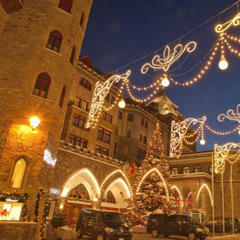 For a less extravagant lodging experience but one offering no dearth of charm, Hotel Salastrains is St. Moritz’s hidden gem. Located on the mountain right next to the Corviglia World Cup course, the large, classically alpen lodge and its restaurant present easy access to the races as well as to the whole mountain. Accessed only by four-wheel drive vehicles or via a five-minute ride on the funicular, there is no spa or pool, and the rooms are small and quaint. 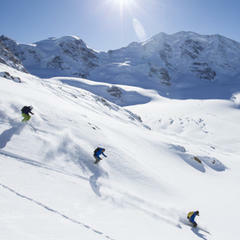 But live music keeps the après party on its feet every evening, the restaurant serves up lusciously homemade breakfasts and dinners, and there is really no better place to stay if hitting the slopes is your number one priority. Never mind that Daniel Bumann of Bumann’s Chesa Pirani is himself an Olympic gold medalist. He and his wife Ingrid serve up an array of saffron-inspired, Michelin-rated dishes that change regularly with the freshest available ingredients, paired with the region’s rarest and most highly acclaimed wines and cheeses. To try a winning version of the region’s famed walnut cake, head to Café Laager. For on-mountain après or to grab a hot sandwich and bask in the sun, the Alpine Hutte, featuring snow bar and all, is the place to be. At night, head to the King’s Club across from the Palace. The underground bar may be thick with smoke, but it is where virtually everyone in town comes for at least one late evening cocktail if not a spin on the dance floor. The resort welcomes the tour back to Europe February 6-19, 2017. 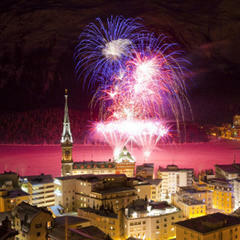 A quiet World Cup stop in terms of crowds, the St. Moritz races are ideal for visitors looking to bask in the resort experience itself. 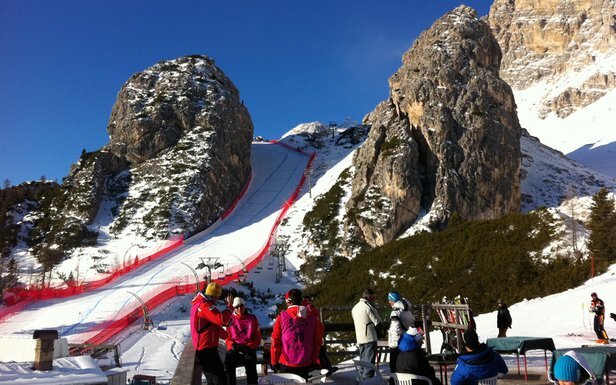 Not visible from town, the races are run at the top of the Chantarella funicular and the Signalbahn gondola. It’s free to watch the races alongside the course but the best viewing is from the bleachers of the finish area, tickets for which can be found here. Although the St. Moritz race tracks are not considered among the more technical on the tour, the exposure of the top of the course, high above the trees, surrounded by jagged rocks and windswept ridges makes for unpredictable and exciting racing that has accounted for a number of surprise winners over the years.